Database access was added in the Unreal Engine remake of The Endless Forest. 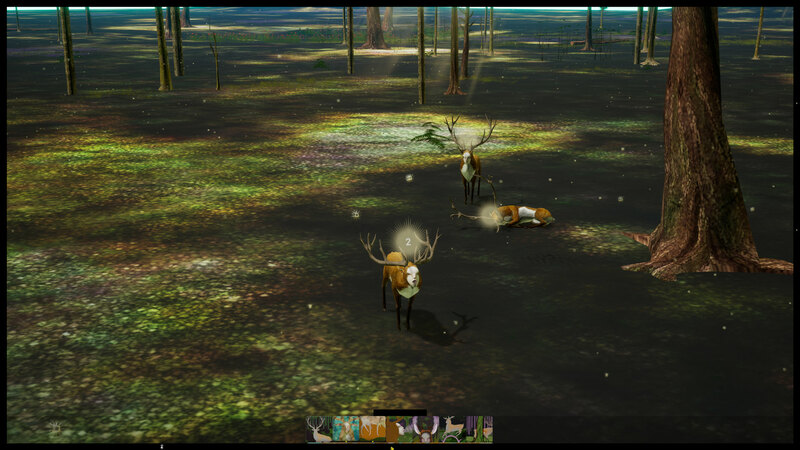 So you can now log in and get your pictogram and your deer's appearance. You can also save this appearance in the remake and load it in the current game. We have enabled the appearance perks for backers of the remake. If you are a backer, you should have received an email from us with a link to the new build. So expect to see some strange looking deer in the forest soon! Read more on the dev log. We have added day to night time, rain, snow and mist to the remake. This was a lot harder than expected. Read more on the dev log. Bugs got fixed, features got tweaked and leaves, doves and squirrels were added. Small but necessary steps. Full report on the dev log. TEF II step 10 - it's Christmas! There's a special update on the development log describing the tedious process of creating a dedicated server in Unreal Engine. The good news is that it works and that you can try it out! Later today, we will email each backer a download link for a pre-alpha test build of The Endless Forest II (only Phase One, don't get excited ). But if you can't wait, or missed our message, please send email to The.Endless.Forest at Tale-of-Tales and we will send you a link. Merry Christmas and a super New Year! With forest sounds, graves and idols, intersection effects and border icons, Phase One is nearly complete. Enjoy the holidays in The Forest. They may be the last in this engine! We have added almost all the plants and trees of Phase One in Unreal. We have added Emotions and Activities. So now deer can dance in Unreal too! More in the dev log. There's a new progress report about the remake of the game on the dev log, accessible for free to backers of the Second Decade. We have added hyacinths, the ground of Phase One and the Ename church ruin. It's starting to look like our forest! As many of you know, the pictograms that identify deer in The Endless Forest are regularly updated. This way the era when you started playing becomes part of your deer's identity. Pictograms are not just decorations, they are names that belong to a single character. This is why we discourage donating or trading pictograms. They are part of the story of the Forest. So please, do not try to acquire pictograms from previous generations, or any pictograms that were registered by somebody else. They are not commodities. They are identities. And add to the story of The Forest over time. I'm overjoyed to announce that the fundraising for the Second Decade of The Endless Forest is now complete! The whole game will be remade in Unreal Engine! Fundraising continues on http://endlessforest.org/fundraising/ towards adding new features.